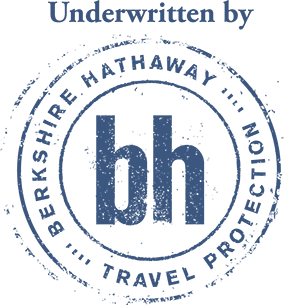 ExactCare® and ExactCare® ExtraTM from Cover-More offer you premium coverage to protect the investment you’ve already made in your vacation or trip. Each product provides you with a range of options that let you tailor your insurance to your preferences. With many excellent comprehensive benefits included, and at an affordable price, ExactCare covers you for trip cancellation and interruption, baggage protection and travel delay. You’ll also receive medical and emergency medical evacuation coverage that, with the exception of a few states, can be increased to fit your needs. As our top-tier product, ExactCare Extra offers a range of added benefits on top of those provided by ExactCare. These include generous medical and emergency medical evacuation coverage for pre-existing conditions as well as the Cancel for Any Reason benefit, if you purchase the plan within 15 days of your first trip payment and other specific requirements are met. This benefit allows you to cancel your trip up to 48 hours prior your departure date, for a reason not listed on the plan. The reimbursement when using Cancel for Any Reason is 50% of the insured cost of your trip. To ensure your next trip is memorable for all the right reasons, and to give you complete peace of mind, choose one of the premium insurance options from Cover-More. Get a free quote today. *If all conditions are met. Please refer to the Description of Coverage for full details. †Note: These are services only. The insured person is responsible for any cost of the service itself, e.g. the cost of the tickets.